This sturdy, double-bladed cutter features solid, all-metal construction and can accommodate up to a 60-ring-gauge cigar! Very happy with the service and cigar cutter - recommended!! Very nice looking but when I received it one of the ends and 2 tiny screws were lying in the box. I removed all the screws with a jewelers screwdriver, added a tiny amount of blue loctite, and reassembled. Fine now but that doesn't say much for the quality control of where ever in China it was made! 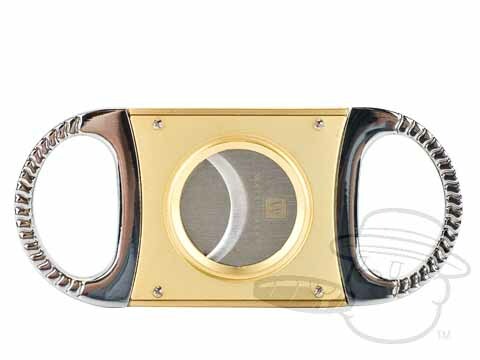 Wall Street Double Blade Cigar Cutter Silver & Copper is rated 4.4 out of 5 based on 5 customer ratings.